Fair. [ No Hassle 30 Day Returns ] [ Broken Seams: YES ] [ Edition: First ] Publisher: Pan Pub Date: 10/3/2008 Binding: Paperback Pages: 1200. Great book! Just as good as Pillars of the Earth! Book was in great condition, too! Ken Follett is a great writer. 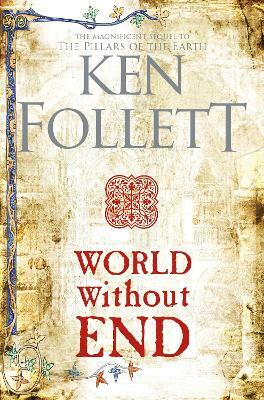 His two books, "The Pillars of the Earth" and "World Without End" are fascinating in that he provides clear images of what life was like in the Middle Ages. The book arrived quickly and was in great condition. The story line drags a bit, but the seller was great. Every bit as good a story as Pillars of the Earth. Really great read! Takes you into the continuation of the town of Knightsbridge. Excellent book.